Aalto University is a newly created university from the merger of three Finnish universities: the Helsinki School of Economics, the University of Art and Design Helsinki and Helsinki University of Technology - all leading and renowned institutions in their respective fields and in their own right. Helsinki University of Technology was divided into four new schools of technology as of January 1st, 2011, including the School of Electrical Engineering. 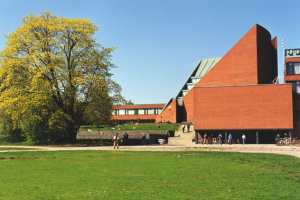 Aalto University has three main campuses all located in the Helsinki Metropolitan area: the School of Economics, the School of Arts, Design and Architecture are in Helsinki, and the four schools of technology are about a fifteen minute drive west of Helsinki in Otaniemi, Espoo. Today around 20 000 students are studying at Aalto University under the supervision of more than 350 professors.